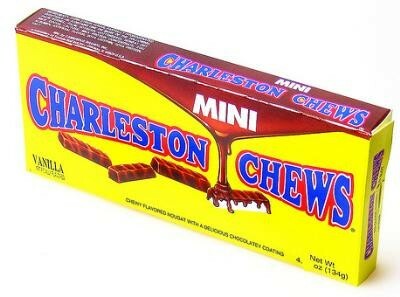 Charleston Chew Mini Movie Theater Box from Tootsie Roll, chewy nougat surrounded by rich chocolate coat. 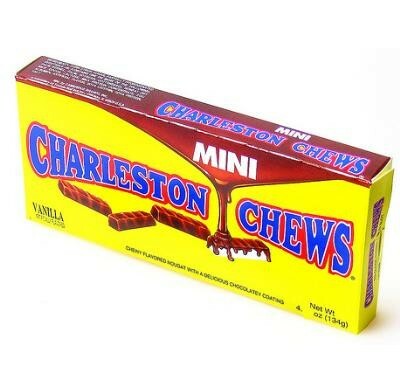 A classic chocolate chewy perfect for any occasion. Boxed candy comes 6 pieces per case.